You certainly don’t become a pastor for the money, to fly under the radar or to be in a profession of ease. Really no one in his or her right mind would go into this. You enter this profession because you love God and love others. You become a pastor because you know that God is doing a great thing in this world. It’s something you want to be part of and encourage others to engage. This is a calling. And the calling to start a church a church can often be even tougher. Take the job duties above and then add on a list of recruiting and equipping a core team of people, engaging a vision, raising funds, navigating the waters of bi-vocational ministry alongside all the hats previously mentioned. Then you have a clearer picture for what it’s like to be a church starter — and this ministry can be an extremely lonely journey. Find an example of a church start closing their doors during infancy and you’ll probably find there was a lack of support around a new church starter. The health of a church starter directly affects the health of the organization he or she leads. Therefore, finding a place to belong ministerially and personally becomes crucial for church starters. This is where CBF’s New Church Start Initiative wants to exist. We want to be a catalyst of support for those discerning and living out a call to starting new faith communities. “CBF has come alongside us at a time when we needed someone. Church planting can be hard and lonely, even as a co-pastoral team. I think CBF does a great job of helping you find your unique context and then providing support in that context. CBF didn’t tell us we have to do this or we need to use this model. What CBF did do was give us a place where we could connect with others. They helped us to see that what we were doing or needed to be doing and that it context might be completely different than others, and that’s okay,” said recently commissioned church starter Doug McKinney. Just as church starts are not bound into a certain model, they aren’t restricted to a geographical region either. In fact, CBF new churches starts and starters are beginning to grow in numbers across the United States. There are now CBF starters from Oregon, Pennsylvania, Indiana, Kansas, New York, Michigan, Alabama, Kentucky, Florida, Georgia, the Carolinas and Texas. The Fellowship is on the move. No matter where a church starter is located or where he or she is on the journey of existence, for those who want to enter into a partnership with our initiative it begins with one of our four 8-week online cohorts. This free experience offers candidates the opportunity to explore the various facets of church starting — including visioning, core group development and bi-professional ministry. The discernment experience is intended to create a space for creativity and clarity of calling with eight to twelve other candidates who also sense a call to this kind of ministry. Michael Mills went through one such cohort. “The process helped me to rethink some things. As an up and running church start, we’re already seeing ourselves settle into the we’ve-always-done-it-this-way mentality. Throughout the process, I had the opportunity to rethink what we were doing and begin to dream again. This has allowed us to ask the question, ‘What’s next?,’” said Mills. Some are simply looking to better define goals, as was the case with recently commissioned church starters Josh James and Doug McKinney. “The process was less about discernment and more about verbalizing our mission and vision for our existing plant,” they shared. Since the church start initiative has developed rapidly in recent years, it has led to the production of two exploratory conferences per year, both in Decatur, Georgia. Invited candidates participate in a three-day experience of teaching, leadership development, core group and fundraising training, financial planning and coaching. During the conference, candidates become more accustomed to the church start family and networking with their state/regional leadership. This is an opportunity to figure out whether individuals fit well with CBF and if the Fellowship fits well with them. For some, the exploratory conference might lead to a coaching relationship and a reexamination of the partnership over the next 9-12 months. The goal is to continue to clarify vision, enhance the core group and to work towards attainable goals. For others, the exploratory experience will lead to commissioning. What that process looks like has been reforming over the last few years as this initiative has grown, but in years past, commissioning leads to one year of coaching, $12,000 of support over three years and public affirmation at the annual General Assembly. With the current commissioning model, we covenant with a commissioned church start with two years of professional coaching, site visits on year one and three of the partnership, leadership development with the church leadership during the site visit and at a Dawnings retreat, website and financial systems assistance, a retreat for the church starter(s) in year two and three of the partnership, $15,000 of support over three years and public affirmation at General Assembly. This is an exciting enhancement to the catalyst of support we bring around our church starters. One of the little known facts about the new church starts initiative is that it is supported solely by the residuals of an endowment. Yet the work of consulting, training, commissioning, financially supporting, networking, and developing new church starts is emerging dynamically. As the initiative continues to grow, augmenting the support we provide will be pertinent. Our goal is to not just invest financially in a church start, but to invest in the church starters. This transpires not only from CBF Global, but also from our state and regional leadership. “CBF is excited about what we are doing and (perhaps more importantly) about us as real people with real families and, at times, real problems. I can’t say enough good things about our CBF Mid-Atlantic coordinator, Trisha Miller Manarin. She has been relentless in connecting us, championing us, investing in us, praying for us, believing in us,” shared James. Beyond the formalities of our partnerships with new church starters, the formation of solid and mutually shared relationships is the ultimate catalyst we both give and receive. As much wisdom as we impart upon those that journey with us, we too are learning from our new church starters. 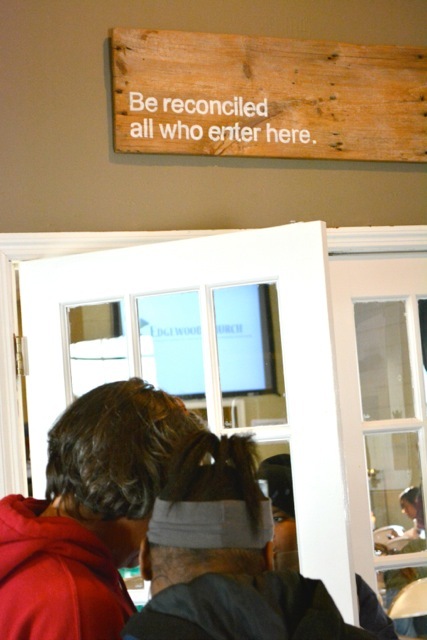 Experience and new locations are two other contributions made by our church starters. 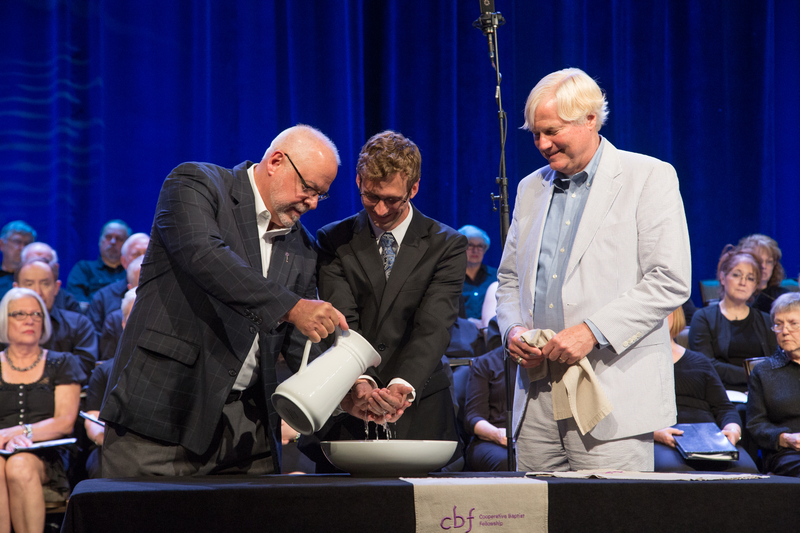 “I hope that we can be a bridge to people and churches that have no framework for something like CBF,” said Mills. Through CBF’s strategic approach, along with the mutually sharing relationships, we hope to build credibility and sustainability to this emerging paradigm of being and doing church. As church starters begin to put on and take off the endless hats of a pastor, adding on the hats of bi-vocational life, entrepreneurialism, fundraising and many more, we want to help the hats fit a little more snugly and uniquely. We want the fifth most difficult leadership job in America (though we think it may be No. 1) to be tasked to people with a catalyst of support around them. Is the church starter hat one you are wanting to try on? Are you sensing a call to starting something new? Do you need a safe space to work through that calling? Have you found a network to provide organic and personalized support? Maybe your conversation needs to begin with CBF. Learn more about Michael Mills and Inland Church here. Find out more about the work being done by Doug McKinney and Josh James of The Restoration Project here.